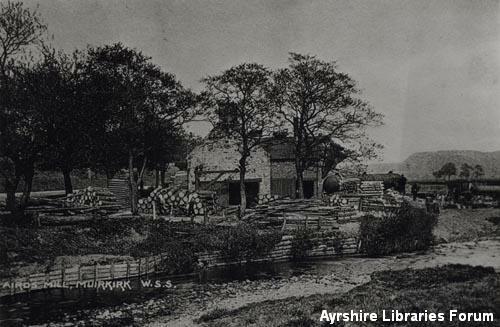 Piles of timber outside Aird's Mill, Muirkirk. William Aird was the original miller in 1851 but by 1892 the mill was owned by by the Baird family, who had it until 1931. From 1932 it was run as a club until 1940 when it was demolished.